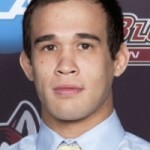 2009 Monroe Woodbury graduate Jamie Franco won his wrestle-off and is the projected 133 lb. starter for D1 Hofstra University. Franco, a redshirt sophmore, beat blue-chip true freshman Joey Kosinski (Carol Stream, IL) by a score of 4-2. Congratulations and best of luck to Jamie! SectionIXwrestling.com will be following you this season!!! 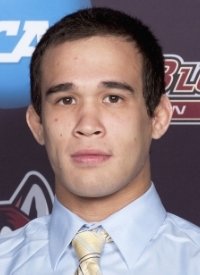 2007 Minisink Valley graduate Jeremiah Biddle has been named one of the team captains for Division 1 Bloomsburg University. Biddle was named captain along with Frank Hickman, Zac Walsh, and Mike Dessino. Bloomsburg Head Coach John Stutzman said of his selections, “With each of these individuals I feel they will lead us in a very positive way. They all have a great work ethic and they represent BU wrestling on and off the mat with great pride. Their attitude and work ethic are contagious and we look forward to the up coming year!” Congratulations Jeremiah! You’ve made Section 9 proud! On Friday October 21, the Army wrestling team hosted their annual Black/Gold Match. The event serves both as a “kick-off” for another exciting season of Army wrestling, and also as a wrestle-off to help determine this year’s starting lineup. The Gold team won this year’s match by a score of 20-13. Of local interest, Saugerties graduate Derek Stanley defeated his opponent by a score of 4-3 and will begin the season as the starting 184 pound wrestler for the Army Black Knights! Congratulations and good luck to Derek and the rest of his teammates! Go Army!